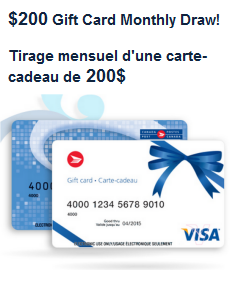 + Chance to win our 200$ Gift Card! This Website is for Future and New Moms of Babies under 6 Months. Welcome to Baby Freebies! You'll be more then happy to learn that we provide moms-to-be and new moms with a lot more than just free samples! That's in fact what we've been doing since 2009, for the benefit of over 300 000 members just like you. We offer baby freebies from many sources - our members not only receive free Baby samples from baby product manufacturers, but they also receive Baby-Dollars which they can use to shop in our very unique and exclusive online catalogue containing not only relevant tools, but also funny and useful gifts; and last but by no means least a chance to win a $200 prepaid visa gift card in our monthly draws. So what are you waiting for?! Sign up for FREE right now and join the fun! As numerous testimonials and winners have confirmed - it's a must and it's real! Welcome aboard! The terms "baby freebies" and "babies freebie" motivate many people, and it is likely that you want to get as many of them as possible. You might also appreciate the chance to win our great gift card, called "Welcome to the family", which you will receive right at your doorstep if you win our monthly draw. With a value of $200, it can help you to buy many of the things you need for baby! And if that doesn’t sound good enough for you, there is more! Subscribing to our website will also get you Baby-Dollars, which you can then redeem against great gifts and tools from our very unique collections! Take a moment to register now! Do you want to find out more details before subscribing? It is perfectly normal. Click on each of the questions for which you would like an answer, in the tabs below. We have detailed all the information for you. Some parents and parents-to-be are disappointed and even angry, and express it on many forums. They write: "I never received the baby freebies I was supposed to get." Or: "I am now constantly solicited by publicity". That is what encouraged the Baby Loving Care Network to do more and to be different. These comments are credible, as the major baby product manufacturers, like Enfalac, Similac, Huggies, Nestlé, Heinz, Pampers, etc. are responsible for sending their babies freebie. They probably do, but who is to blame when nothing is received? Our long-term presence has shown us that many companies, which start up in the blink of an eye on the internet, lie bluntly to new parents and parents-to-be, by using their contact details, but without sending any free stuff, especially in Canada. You may be sceptical about receiving free stuff in Canada. It may reassure you to know that our systems have always allowed us to deliver what we were responsible for: We always deliver your information directly and electronically to the websites of major baby product manufacturers. better than the other offers? Since 2009, we have continuously and constantly improved our offer, our exclusive rewards, in order to be as independent as possible from the companies that offer free stuff for babies. We have therefore created from scratch our own collections of exclusive gifts and free books, and also of very relevant and useful tools for parents and parents-to-be. + your Baby-Dollars + the draw of the gift card? This is the principle of our offer! We will continue to send electronically and automatically your request for baby freebies to the product providers we have carefully chosen. However, the result will only depend on them, but we will have transmitted your request for sure, and we have received many testimonials from members who confirm that they got the requested babies freebie in Canada at their door. How can I join your network easily? We continue to innovate, and the answer is: Of course you can! Encourage an acquaintance of yours, parent-to-be or new parent, to sign up, like you, to the Baby Loving Care network, in order to enjoy the same free and important benefits as you, and YOU will automatically receive 30 additional Baby-Dollars as soon as they register. It is our way to say: Thank you, for allowing a new member to benefit from our unique offer in addition to the baby samples. This will allow you to get other EXCLUSIVE and INNOVATIVE gifts from our collections, FOR FREE! And no need to get out of the house to go to Baby Depot, or another store: you can do everything from the comfort of your own home. 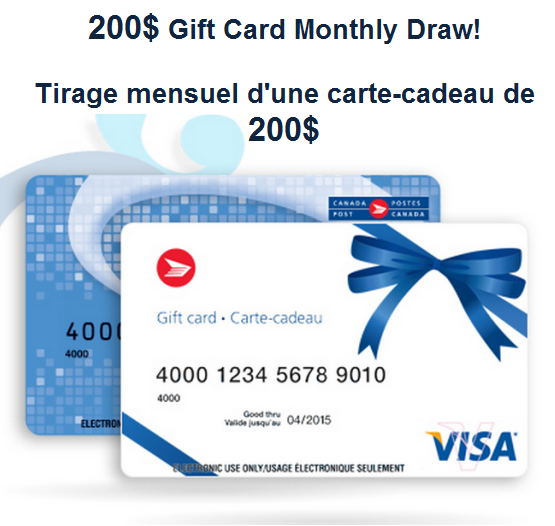 $200 Gift Card to Win!